I was very happy with Parklane Hawk’s test today and he has gone into equal 4th on a score of 41.0 in what is a very tight leaderboard. He did a lovely test overall and considering he had been a little bit excited all week, knowing exactly where he was, I was delighted with how hard he tried. It was just a shame a couple of his changes and his walk got a little tight. Seacookie goes into tomorrows cross country phase in 17th place and with just 12 marks separating the top twenty there is a lot to play for. It has been a lovely day here at Burghley and the ground is drying up fast. The weather has improved today and the forecast for the weekend is good. I have had a busy day with sponsors Rolex, HSBC & Musto and have now got to fit in my final course walk. Seacookie will go cross country tomorrow (Saturday) at 11.52am and Parklane Hawk at 4.20pm. 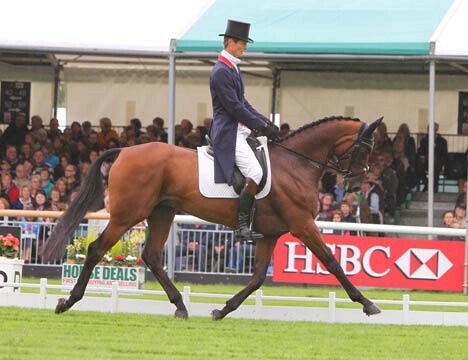 To see the full results after dressage please click here.